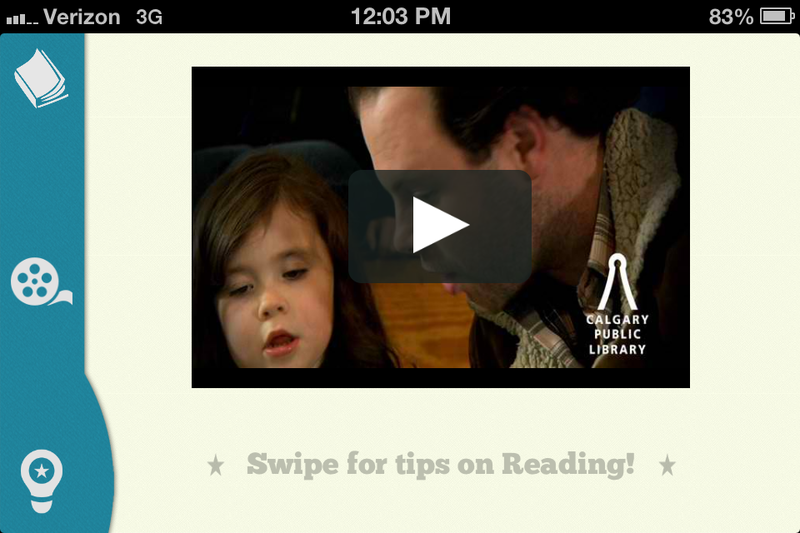 In early February Calgary Public Library released Grow A Reader, a free mobile app that offers parents and caregivers practical early learning tips and activities on-the-go. Grow A Reader is an informational app based on the Every Child Ready to Read 2. It presents the 5 practices—Talking, Singing, Playing, Reading, and Writing—in simple, concise terms followed by clear instructions for putting them to use. Users can toggle between booklists, videos and “tips” that put the 5 practices to use. Calgary PL clearly put a lot of love (and money) into developing this product. The proof is in the pudding. 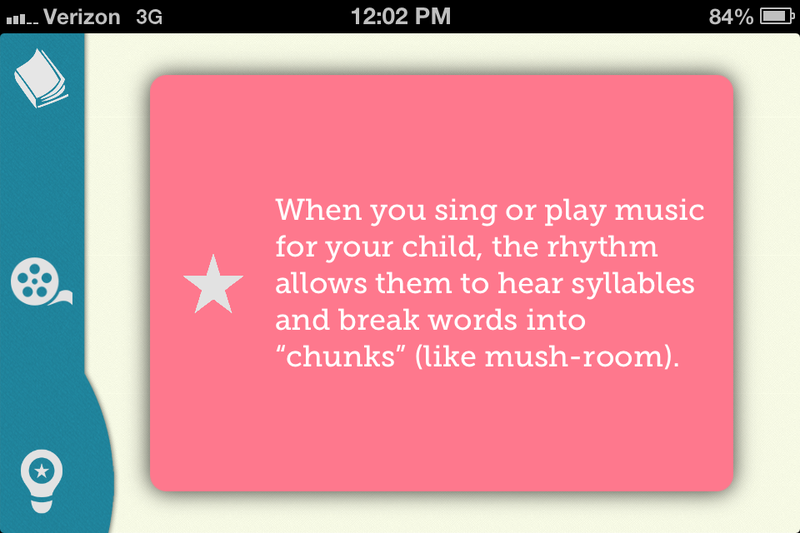 Grow A Reader is a beautiful, engaging app that delivers vital information in an elegant form. The app functions smoothly even under my tap-crazed fingers. The videos are polished and professional. Many of them feature multiple camera angles! The librarians are poised and professional in each video. The had time to get comfortable in front of the camera. Most importantly, they’ve packed a ton of knowledge into this app. 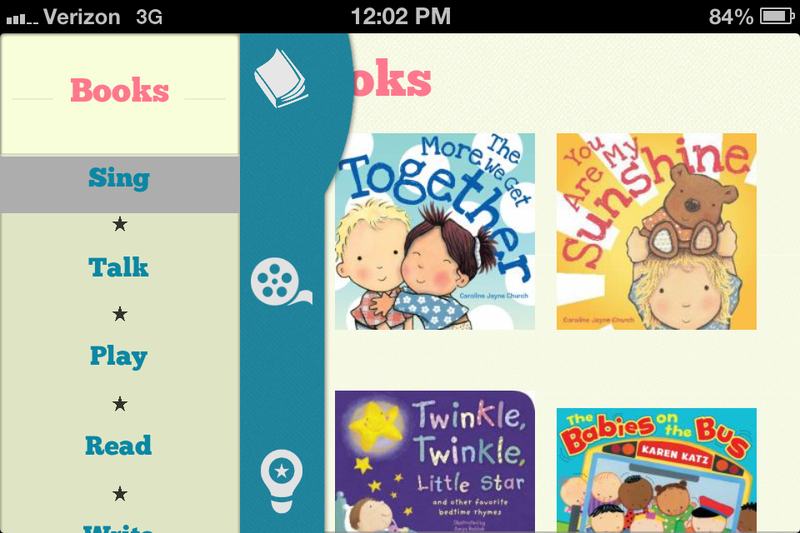 The app includes booklists, quick tips, and dozens of video clips of librarians performing interactive rhymes, lullabies, bounces, tickles, etc. In addition, short documentary-style videos demonstrate the 5 practices in action and explain why they are an essential part of early childhood education. In fact, I would go as far to say this app demonstrates all the best librarianship has to offer. I can’t wait to show this to every parent I meet. Categories: ALL, Apps, Early Literacy, Libraries | Tags: apps for parents, early literacy, emergent literacy, innovative libraries, storytime, technology | Permalink. I’m a special events junkie. Book parties, dance parties, author b-day parties, life-size games, stuffed animal sleep-overs…I can’t get enough of them. They’re a great way to channel some creative energy. And they are (almost always) as much fun for me as they are for the kids. The one thing I dread about this type of program is opening the doors and checking in. Unfortunately this sets the stage for the whole event, so it’s important that it runs smoothly. I’ve been trying to improve/streamline my approach, but it still felt like a hurdle every time…until I tried ClassDojo. 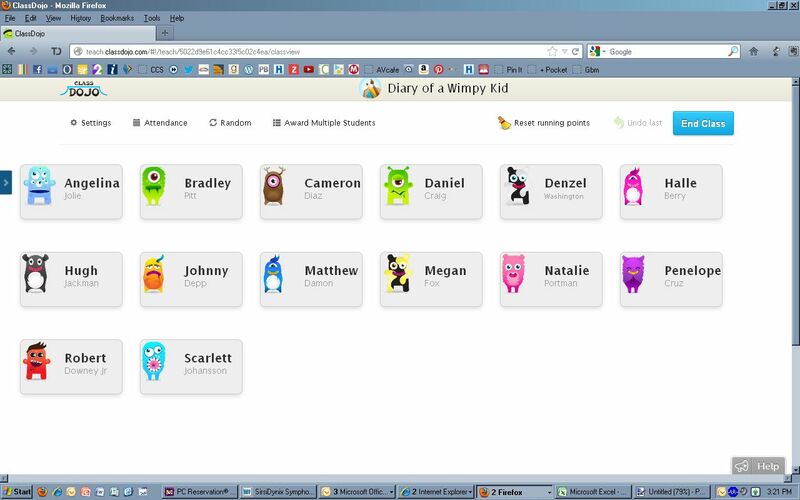 ClassDojo is a classroom management app that allows teachers to track student behavior on their smartphone. I was playing around with it for a teacher workshop, and was blown away by the design and ease-of-use. Here’s what it looked like on my desktop. I went to my desk, signed up for a free account, and downloaded the app to my phone. I created a “class” for the event. Then I cut + pasted my guest list from Evanced to create a student list. DONE! I ran to open the doors. I brought my paper guest list just in case I needed it…but I didn’t need it at all. Tappa…tappa…tappa, you’re all set! Who’s next? Another awesome feature is the “random” button. 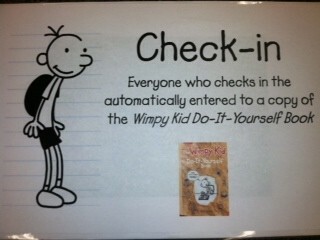 I’m guessing it’s there for teachers to call on students in class, but I used it to select a winner for a raffle. I posted this sign explaining that check-in was an automatic raffle ticket. After everyone left, I tapped ‘random’, and had a winner. I had the winner’s info in Evanced, so contacting her was easy. Anyway, back to whining, “Why doesn’t anyone create awesome apps for librarians?!?! ?” Can you imagine how awesome Summer Reading would be if we could track kids’ progress this easily? Categories: ALL, Apps, Libraries | Tags: Apps, technology, work-arounds | Permalink.